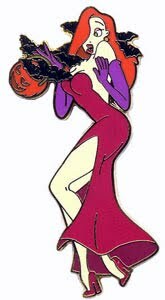 This is the very first Jessica Rabbit Halloween pin ever released. It came as a Tombstone Set with Mickey's dog, Pluto. 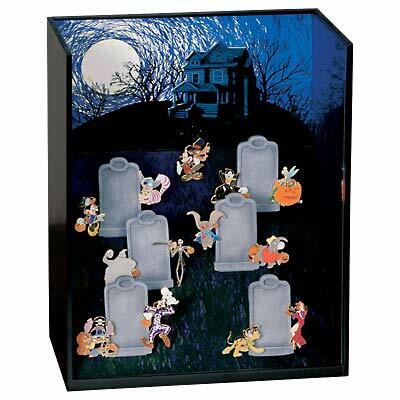 There were six sets released in this series and a special graveyard diorama. Jessica gets spooked by bats while out trick-or-treating. Someone is digging up trouble!